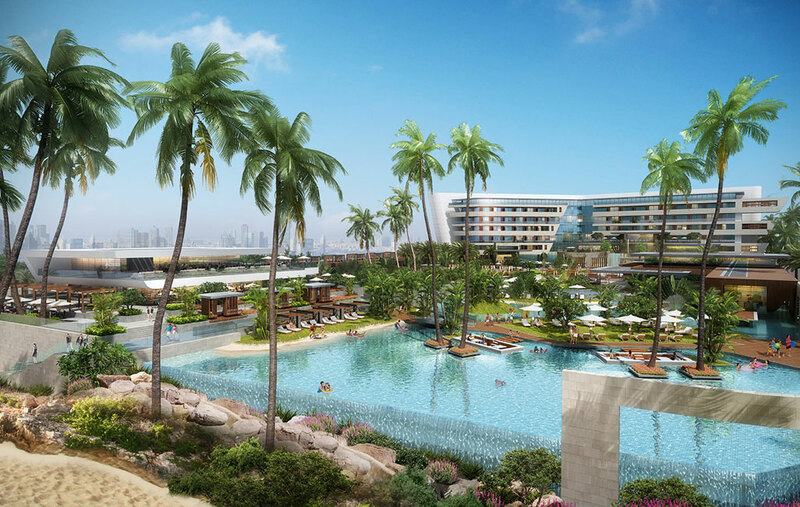 Hidd Al Saadiyat is a natural peninsula at the furthest extent of Saadiyat Island, now home to one of the newest and most prestigious lifestyle development areas in the UAE. 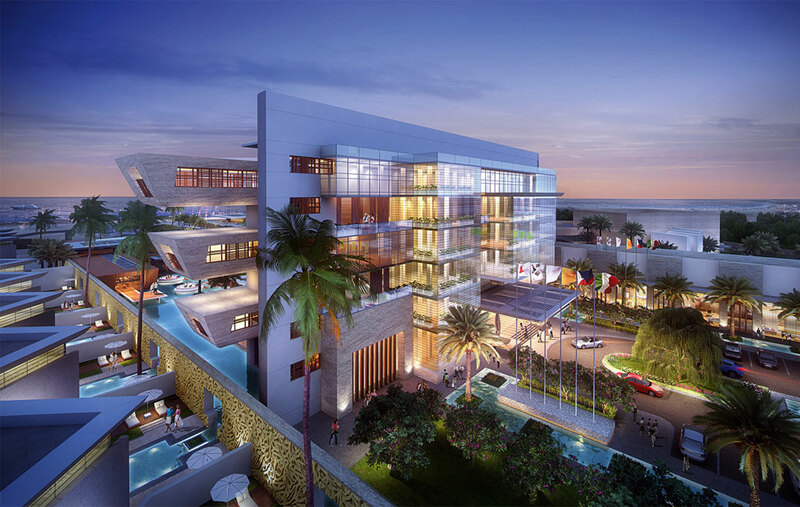 The Hidd Al Saadiyat five-star boutique hotel represents Diar Consult’s design in response to a select international design competition for a private developer. The design embodies Diar Consult’s interpretation of the master developer’s brief and development control guidelines for a five-storey boutique hotel that maximizes the potential use of the allowable built-up area for both commercial and residential uses within a hotel context. The proposal takes advantage of the deep rectangular plot to create a duality of character in the landscape, providing both lush structured water gardens and a pristine natural beach. Building elements are arranged in linear strips along three boundaries of the site, designed to maximize views of the gardens, beach and the sea beyond. 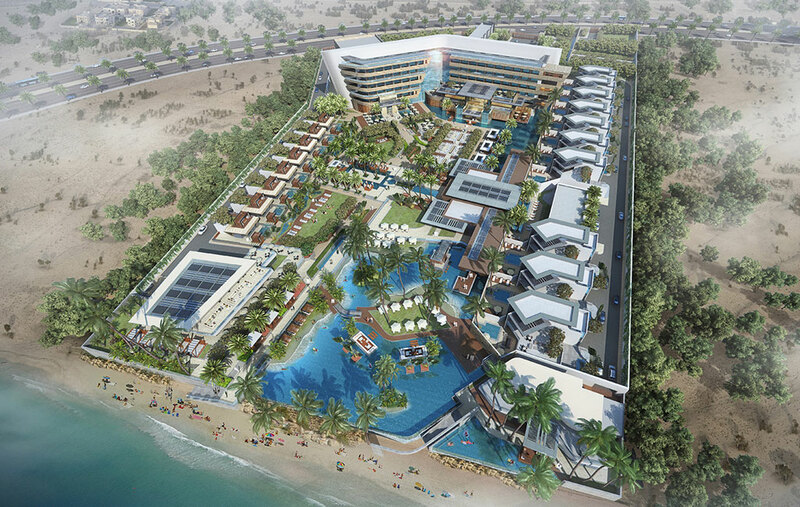 Vehicular circulation is limited to the road frontage and side boundaries, thereby providing convenient and efficient access to the hotel chalets and beach bar and grill on one side, and to the executive hotel villas and beachside VIP retreat on the other. 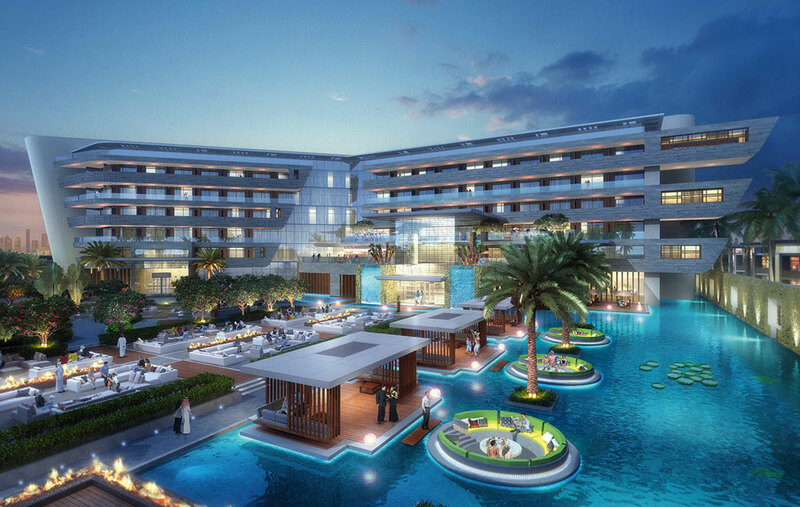 Infinity pools and exotic islands occupy the heart of the site and provide an enclave of tranquility and serenity that can be enjoyed by all guests.